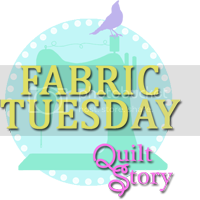 My Fifteen Minute Break: Sew Mama Sew Giveaway Day! I'm so excited to be participating for the first time ever! I usually miss it! I am giving away something that I hope someone will love as much as I do! One day I was browsing at my LQS (sadly it has since closed it's doors) and I saw Echino on display. I fell in love with it instantly! The colors are so concentrated and I LOVE the animals in the prints. I bought it with the idea of making a pillow, but honestly, it has just been sitting on my shelf since I bought it. I've decided it's too pretty to sit! I would love for this to go to someone who can make something beautiful out of it! Without further ado, I'm offering up a 1 yard cut of this beautiful Echino print. To win please just leave one comment. You can tell me about your summer plans, what sewing project(s) you are currently working on or whatever is on your mind. It's your choice. The giveaway is open to everyone! The winner will be selected randomly and I'll contact you Saturday morning. Have fun looking at all the giveaways and Good luck! Hmm, I been thinking I need to get sewing instead of sitting on the computer!!! Well, you asked! We'll do lots of days at the beach, playground, in the garden, and of course sewing! Thanks for a chance to win! We're staying close to home this summer with short trips to the lake and visiting my mom and daughter across the state. A trip to the new Crystal Bridges Museum is on the list of things to visit. Even though we've been there before, it's always fun to see the new artwork on display. Summer plans are to drive across the country with the two kids to see family. My summer plan is to visit my sister, and that we together go to a great quilt shop, not far away from her home! No big summer plans except maybe a few beach trips and some soccer games! Thanks for the giveaway! I can't wait until the pool opens this weekend! Beautiful print. We are going to Nicaragua on Thursday! I love the colors of that. Blues are my fav! I'm sure I can definitely make something out of that great fabric. Thanks for the chance to win! Lovely fabric...and as you asked I've been thinking about what I can do to help my son do a little better at school! So generous of you. I am currently working on a Swoon quilt out of Hometown by Sweetwater. Summer plans? Almost entirely home remodeling. Not very fun, but it will definitely be nice to have it done and over with! :) Thanks for the chance to win! Swwon! I don't have big summer plans because we're having a baby this summer! i'm currently working on a quilt for my baby cousin chloe. this quilt will match her room! Beautiful fabric! I can't wait to have some more time to sew and relax with my family! I currently have four quilts in various stages of completion. I think I have a problem with finishing things!! Love the print, I sure could do something pretty with it! My summer plans involve not being at work - bliss! Hoping for good weather as well although a few days of rain might help me finish my bento box quilt - my first ever quilt!! i would love to make this into a grocery tote! I'm looking forward to a quilting retreat I'm going to in July. I love Echino fabrics too! Thank you! WE're going to the beach in DE this summer...and I can't wait! i'm excited to move and make a quilt for my new bed. We are doing day trips and trying to stay cool in the TX heat. I LOVE Echino. Love the fabric!! Summer plans-- we're going to Disney World in September and I cannot wait! I plan to swim all summer, Thanks for the giveaway! I love love love Echino! This summer I am teaching my boys to swim, getting them piano lessons and working out a whole lot more!! Hi!! Summer plans?? None, yet. It is only autumm here where I live!!! The fabric you chose is gorgeous!!!!! Thanks! Margaritas are on my mind right now. Tasty, blended margaritas. I should be changing the air filter and vaccuming up dog fur. Instead, I am reading blogs and eating salad. Lovely fabric! I just finished up a bunch of little projects that were on the mending list. Two pairs of pants, two shirts and a dress. It's good to have those off my sewing table. Thank you for the giveaway! This summer I'm planning to make it up to the mountains for at least one weekend. It's too hot here in the desert! I love this! I'm really looking forward to swimming with the family this summer. I love this fabric....I am anxious for the beach. I am planning to make a quilt for each of my sons from some Curious nature. We currently live in Chicagoland. This summer we will be visiting family in Georgia and later in California. I'm ready to go camping, and sewing at the picnic table! My goal this summer is to take my girls to the beach! i agree with you, i just love this echino print! i ove the patchwork style...this summer id like to disconnect from the computer, laptop, i pad more...id like to show mykids how much they mean to me by physically being with them!! and id like to do more hand sewing so it will put me more with them also. I'm currently working on a quilt for my brother's graduation present! Plan a trip to visit my sister. She is my long-arm quilter and I have a couple tops to leave with her. Also need to finish up some more WIP. I'm really trying to get a beach quilt done so I can use it this summer. I better get a move on! My summer plans include going to Squam Art Workshops in June and otherwise finding some time to lie in the hammock and listen to the birds sing. I plan on spending this summer visiting with my family. In the visiting down time, I want to start and finish my Swoon quilt. This summer I'm hoping to make a picnic quilt, sooner rather than later preferably & do lots of clothes sewing & knitting since my wardrobe seems to be falling apart! Lovely fabric! I'll be sewing for my little girl all summer! i'm working on some treasure pocket pants for my son. Love, love, love this fabric! Thanks for the opportunity! Hopefully will find a few days to visit my sister at the beach this summer. Also have family visiting from down South for a few days. Current sewing project is a t-shirt quilt! I plan on sewing some cushions and an apron for a friend. What a beautiful print! Thanks for the chance to win. I'm visiting NY this summer to go see my parents. 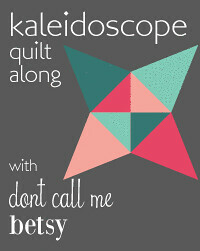 This summer I am taking a bunch of quilting classes! I am super psyched about all of them, including two on embellishing, which I have never done before. I'm also taking a placemat class and a tote bag class. And probably many more that I haven't signed up for yet! Melanie - thanks for this lovely giveaway! This summer, I'm working on a project for work so we can't take any big holidays. But lots of waterpark time for the kiddo will still be in order. We are going to have a lazy summer. No big plans, just hanging around home and taking day trips and maybe some weekend camping trips. Oh my, I LOVE this print! I am just working on a bag made of different chino fabrics - it did hurt my soul to cut into them. These are the perfect colours together - would love to win so when I make a bed runner I could make it out of this and place it on my nice-white-crisp-white-still clean-white duvet cover!! At the moment I'm working on a quilt for a little boy. I hope for warmer weather so I can do some work in the garden. Thanks for the chance to win this great fabric! I'm currently working on a cot quilt for my new nephew. The top is all pieced, I just need to baste and quilt it. I have found so many amazing blogs via this giveaway day. Thanks for sharing. I'm learning to quilt so I will continue to develop my skills. Basking in the sun. If my daughters let me, of course. So no sun, I foresee, but lots of bathes in the sea. I am working on sewing up some summer clothes for my girls. Highlight of my summer will be 2 weeks in California with my husband driving the scenic route along the coast. Thanks for a great giveaway. Very fun! Thank you for the chance to win this beautiful fabric! I just finished a really fun little birthday set for my youngest daughter including a felt crown. Thanks again! would love to make a little bag if I won! Can't wait to take my girls to the beach this summer....it is on my mind! That fabrics lovely. Enjoying the fact that the suns come out for the first time in weeks! Lovely fabric! This summer i am travelling to Netherlands to visit some friends. Can't wait for it! 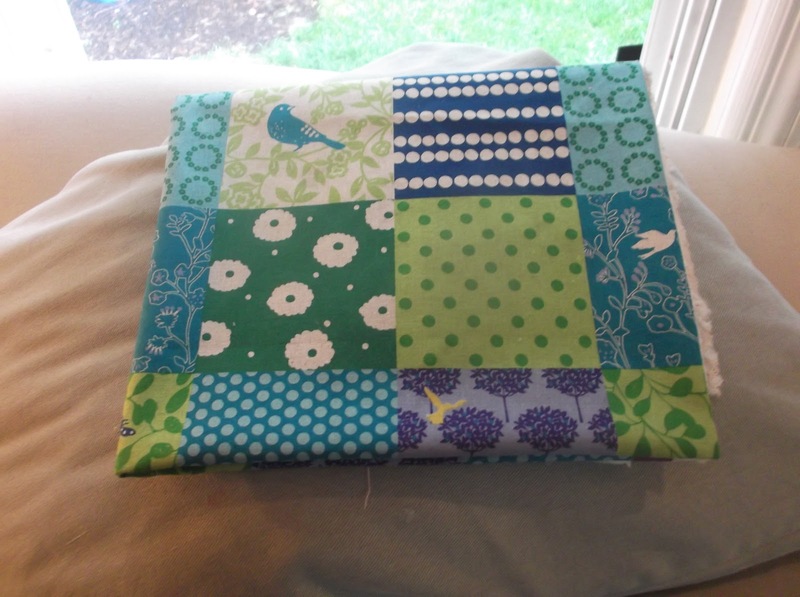 I look forward to more quilting time and visiting my uncle in Washington, DC for 4th of July! I am working on the Patchwork Prism right now. So much cutting! Thank you for the great giveaway! I've got lunch on the brain! Very cute fabric!! I have been wanting to make some patchwork clothes for my kids but i haven't had time to cut and piece squares. I would love to have this fabric and cheat! ;) The colors are great! EEp, this summer we're moving cities! Exciting, but kind of terrifying, too! Thanks for the chance to win! we are going on vacation for 2 weeks in August. But I would love to make a bucket list of things we could do that are special, I think my daughter would love that! Awesome fabric! We're going to Colorado this summer for a couple of days. A week a the cottage - hand sewing and embroidery only while there. and I am scrap busting this summer I plan on making a big dent on my stash! Love this fabric. I have a skirt for my oldest daughter I need to finish this week. I have been putting it off. No big plans for the summer, I'm working on a baby/beach quilt which I'm loving. Thank you. I'm decorating my home, we've just moved! I'm looking forward to my sister's wedding in July. Maybe I'll make her a lovely little pillow from this fabric. Or maybe I'll make it for myself. Thanks for your giveaway. This summer will be filled with work, sewing and outdoor fun. working on a baby quilt with purples and a bit of yellow for the girl who was my daughter's best friend all through school - she just had her first baby. my summer plan is to play with my son as much as possible without getting sunburnt, lol. We don't have anything else really planned other than some family weddings! If someone would turn off the internet, I could get some quilting accomplished. Enchino I love it but I'm too afraid to purchase it because I fear I'll make something horrible with it, thereby making it a total waste of money and thoroughly depressing because the fabric is just too amazing! So, I don't own any. 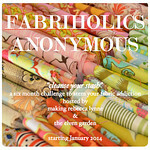 If I win your fabric, I'll take the chance to make something! As you see, I need to save my moolah for psychiatric help! Love that fabric!!! Thanks for the chance to win. I am looking forward to spending time with my parents and my sister this summer - every moment is precious!! I am working on a Bonnie Hunter mystery quilt. I started on a new batik throw quilt this weekend & I'm still cutting out blocks for a queen size quilt I hope to have finished by next fall. Thanks for the giveaway. I'm excited for this summer because I get to meet my niece. Thanks for the giveaway! Lots of swimming at the pond and beach with my kids, finishing up some big quilts, lots of time with friends and family. I love going to the beach. Thanks! We've got some day trips planned for this summer, as well as strawberry and raspberry picking. Fun fabric! I just finished a major project in quilting, so I'm taking a breather before tackling my swoon quilt! No big plans for the summer, I'm actually just getting ready to go back to work after maternity leave. What a lovely print, thanks for the giveaway! Great fabric - I love the colours! I planning to start a halloween quilt with some Riley Blake fabric I bought on sale last year. Terrific giveaway, thanks! Love Echino and cheater prints! I'm looking forward to some vacation time!! I'm getting obsessed about fabric and has recently purchased 3 BOM while already busy with one. I don't know what LQS is, but this is lovely fabric. Thanks for sharing! Hmmm, I'm getting really excited for the Olympics. The torch relay came past my house today and it was really amazing, the atmosphere was fantastic. I can't wait for the opening ceremony now. I have some fabric coming in to make cloth diapers and I can't wait! this would be great for that application too! I absolutely love the colors in this fabric love it!!! That fabric is beautiful, thank you! Gorgeous fabric. I love blues and greens! oh I can already see the pillows I'm going to make if i win this! Thanks for the chance! I wish my LQS stocked anything like this! I am going to be visiting my Mom for a week. That will be the highlight of my summer! I am forcing myself to finish all my UFO's before I'm allowed to start anything else! I'm currently working on like five quilts at the same time. I'm gona make an tablecloth for our boat and some gifts for 50's birthdays. Pretty fabric! We just bought our first house so we have no travel plans. Lots of yard work, painting, and decorating will keep us occupied. Our summer plans include a trip to Disney World which I am currently working on outfits for my girls. I hope to finish a quilt for my baby boy. I am thinking about finally making dinner tonight, and how to incorporate some lemon balm into the recipe. I've never cooked with the herb before, so we shall see how it goes. 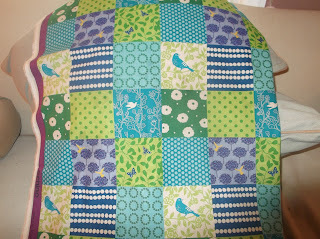 I'm working on a Birdie Stitches Quilt now. Thanks for sharing this pretty fabric with us and for giving us the opportunity to own it. My summer plans include a missions trip, time with my family (especially my grands!) and being a counselor for two weeks of camp. I love Echino's prints - thanks for sharing! I'm starting to make a beanbag chair for my daughter's bedroom re-do. Thanks! This summer I plan to bond with my new baby girl. Thanks for the giveaway! What a beautiful print! This summer I plan and hope to quilt as much as possible! I just learned to quilt recently and I cannot get enough! Thank you for the giveaway! This Summer is all about getting organized around here. Maybe a weekend in a cabin. I am a fan of these echino prints too! I am working on some summer sewing for myself but it is slow going as we are trying to finish renovating our kitchen, painting our house and a million other things. I hope to finish our house renovations this summer. Thank you for the giveaway. I am moving this summer! planning to make my sewing space organize and organize fabric so that I can think at least. I love the colours! Summer plans are to maybe do a road trip down the coast to Oregon again. The only plan this summer is a day trip to IKEA in June. Hubby and I have two consecutive weeks of vacation planned in June and a whole list of home remodel/repair projects to undertake but we did set one day aside for a bit of fun. I love cheater patchwork - the colors of this print are so pretty. I would make it into a throw pillow. My plans for this summer are to finish quilts for both my daughters, and make table runners for summer, 4th of July, and fall. Great fabric, love the birds! I'm just taking a coffee and blog break from the last bit of free motion quilting on a quilt for my best friend's mum who is having treatment for cancer. Nearly done! I'm thinking that yes that fabric piece would make a lovely pillow, apron, use in a quilt, bag, softie. thank you. I love Echino fabric & have made some lovely cushion(pillow) covers with it. I live in Asutralia so we're heading into winter & I have lots of sewing projects planned. Thanks for the giveaway. Love a great cheater print! Thanks for the giveaway! This summer is going to be about going to the beach and sewing for me. Gorgeous! 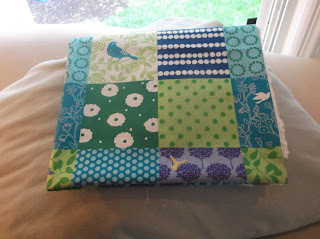 I am frantically trying to finish a baby quilt and enter giveaways at the same time! Oh, I would have been tempted by that too! Hopefully this summer we will be taking a trip to (according to my 5 year old) "that place that is sort of like Disney but it's not Disney": Hershey Park. Oh that fabric is absolutely divine! I love little birds!!!! I'm working on a quilt at the moment featuring Joel Dewberry's Aviary 2 range in yellow and gray. Would love love love to win this! Thanks for the chance to win. pretty fabric! i have no plans for the summer and i'm okay with that!! Great giveaway - this is one of my favourite Echino fabrics! I have a lot of WIPs that need to get finished up! LOVE that fabric! I am working on a quilt for my son right now. Thanks! I'm thinking that I wish one of my colleagues would offer me a cup of coffee... I'm working in our Tunisian office today and don't know how to work the coffee machine and I'm too polite to ask!! I am taking my kids to visit my family in the Adirondacks and play like yahoos in nature. My husband is starting a new job so we won't be doing much this summer, but that is okay. I plan to spend a lot of time at the pool with my kids this summer. Thanks for the chance to win! summer plans are VACATION! yay! I plan to live in my sewing room this summer; maybe then I can get something done. Great colors! I need to get back to my sewing machine - life has felt a bit overwhelming lately! At the moment, I am working on 2 quilts that a friend ordered. And I'm also working on a swap package as well. Working on four baby quilts! How fun! Gorgeous print! I'm hoping to finish up my son's quilt before his first birthday. Beautiful fabric! I'm working on a baby skirt. Thanks for the great giveaway!